The Phoenix Elite Series with Class 1, Div 2 certification for Hazardous Environments is the world’s only waterproof, MIL-STD-810G compliant, Intrinsically Safe speaker mic. Supports I.S. rated devices for all PoC applications. Ideally suited for commercial, business/industrial, transportation, security, fleet management, medical, public safety and military. Ready to Buy? Please select your Operating System and configuration options to get the speaker mic you want. Don’t see your preferred speaker mic configuration? Call 1-888-244-9306. 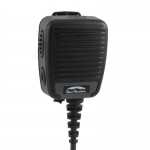 The new Phoenix Elite Series with Class 1, Div 2 certification for Hazardous Environments from Stone Mountain is the world’s only waterproof, Mil Spec compliant speaker mic for PoC (Push-to-talk over Cellular) applications. All major Smartphone & Tablet platforms and PoC app’s are supported. The Elite is complemented by an impressive array of audio, attachment, feature and charging options – See Phoenix Elite Accessories. Ideally suited for commercial, business/industrial, transportation, security, fleet management, medical, public safety and military – The Phoenix Elite provides a rugged, feature rich platform for your most demanding applications. 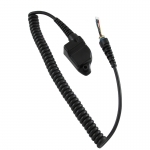 Waterproof to IP68 – 1 meter for 31 minutes. Meets/exceeds military environmental specs (Mil 810G). Large, super tactile side PTT. One touch Hi/Lo volume button. OutLoudTM Neodymium magnet 50mm speaker. Gold plated Printed Circuit Board for 100% reliability. 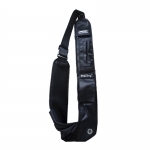 Secure 360° rotating belt clip w/ 45° positive detents. Reinforced cable with integrally molded 5.5mm industrial grade charging port located just above the Device 3.5mm connector. Ergonomic, plastic/rubber two shot molded case. 1,100 mAh LiIon extra-long life battery. Optional MagShieldTM internal acoustic shroud to eliminate ingress of metallic and other industrial debris into the speaker cavity. Optional Hi/NoTM volume button to meet new government laws for muting receive (Rx) audio under certain circumstances. Optional CallCheckTM – Allows the user to selectively record, store & playback receive audio transmissions. 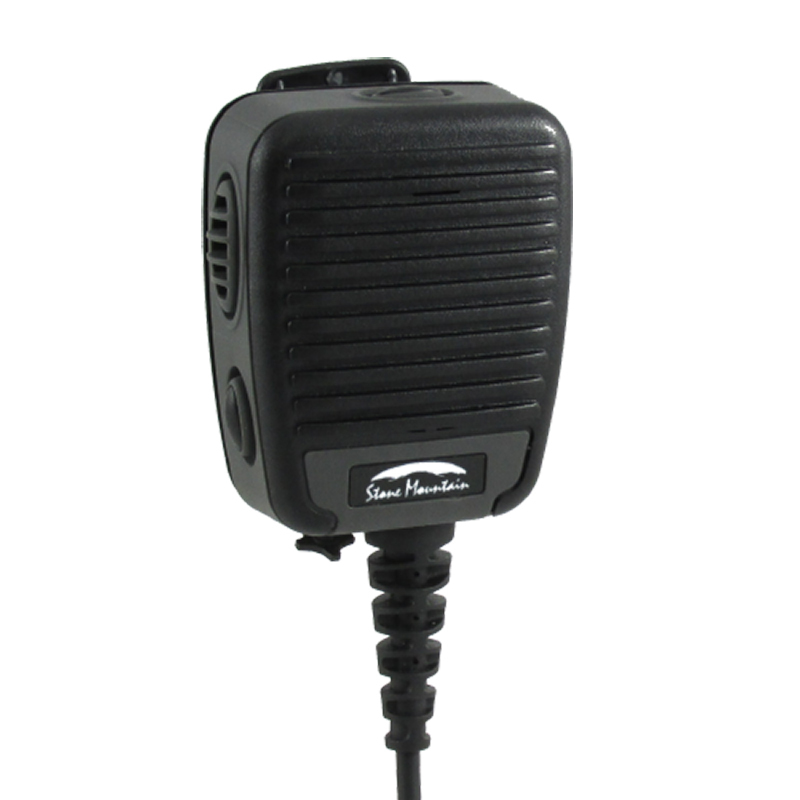 Ideal for use in compliance to distracted driving laws, high noise and critical operating environments. Significantly decreases dispatcher work load and audio traffic. Optional Emergency/Alert/Man Down function – PoC app must support. Optional ProGroundTM DC-DC converter charging system – Eliminates engine noise, whine, etc. in poorly grounded, hostile electrical environments. Optional FasNTM Device Connector Retention System. Assorted Vehicular Installation systems available. Custom system solutions available – All design/development work performed at Stone Mountain, USA. Speaker Output Level (SPL) 100 to 116 dB SPL (Dependent on Device make/model). Accessory Interface SureSealTM 3.5 mm remote Rx audio interface. Auxiliary Button Standard secondary PTT. Optional Patented CallCheckTM message Record, Store & Playback feature or Emergency Button function (PoC app must support Emergency function). CallCheckTM – CallCheckTM allows the User to record and play back saved incoming audio transmissions. Ideal for use in high noise and critical operating environments. Available for select OEM radio platforms. MagShieldTM – The MagShieldTM is a custom engineered acoustic shroud designed to significantly reduce/eliminate ingress of metalized filings and dust into the speaker cavity without degrading or deceasing speaker output level. 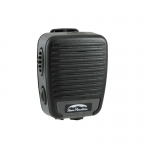 Stone Mountain has a complete line of rugged, high quality, ultra reliable accessories and replacement parts for your Phoenix Elite Series PoC Smartphone/Tablet speaker microphone (RSM).